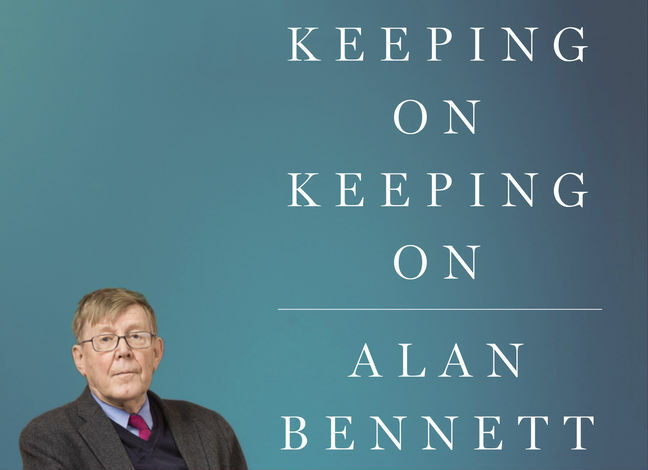 At 82, the playwright Alan Bennett knows that even his merest jottings will be published, regardless of significance. Events need not be portentous. Conclusions need not be revelatory—conclusions need not even conclude. Anecdotes drape themselves on divans, and when they are done, get up and stroll off. Recounting the closing night of his hit The History Boys, Bennett mentions a flubbed line or two but tells us nothing of what he felt or of how the company received him or how he might have addressed them. At a certain point the evening just ends. Aren’t closing nights are famously filled with tears, embraces, rituals, speeches, and bouquets? Was there none of this as Bennett’s greatest hit came to an end? Was there nothing a bit darker—say, the aging artist’s fear that this might be his last success? Not at all. This is Bennett’s fourth volume of mixed reminiscence, diary entries, and occasional pieces. Bennett is, most famously, one of the originators of the satirical revue Beyond the Fringe—director Jonathan Miller and the late actors Peter Cook and Dudley Moore were the others—and the author of several plays and books, many of which have been filmed. His greatest success in the United States is, in fact, The History Boys, a wistful comic drama whose success owes much to nostalgia and perhaps more to its original cast comprising a who’s who of the young British hunkristocracy. Bennett’s plays otherwise tend not to receive major New York productions, though a set of monologues, Talking Heads, played off Broadway, and one of them, “A Bed Among the Lentils,” became a video tour de force for Dame Maggie Smith. Bennett is for the most part “too British,” his scripts expressing no more than mild concern over culturally specific phenomena, all limned in a genteel and self-effacing style. Bennett never looks back—or, it seems, looks anywhere—in anger. In Keeping On Keeping On he demonstrates a bit of suitable but restrained bitterness over twenty-first century Western imperialism, but this is as decorously expressed as is his abiding love for the National Theatre or his enjoyment of a bird sharing his tea biscuit (one of the few times he fails to stop short of being twee). Bennett compensates us for his lack of passion by giving us one sly, beautifully turned, wonderfully descriptive sentence after another, all ever so British, like the items The New Yorker used to publish under the heading, “There’ll Always Be an England.” Of a break on a film set Bennett writes, “We have our sandwiches on the edge of a field of flax scattered with poppies, the earth of the cart track so rich and red the scene seems almost absurdly rural.” There will, in fact, always be an England, because those poppies have guardians like Alan Bennett. No one commemorates like the British, and Bennett does his job for Queen and country, and most especially for all who dote on both the green and pleasant land and its theater. Ah, the theater! Thinkst thou it be full of clashing egos and last-minute panics? Not the theater of Alan Bennett. 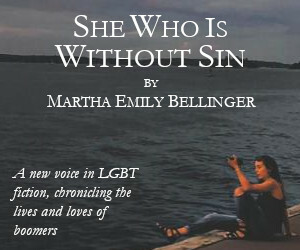 The playwright gets along with everyone, never ruffles a feather, sits quietly and amiably in rehearsals, and seems never to suffer the agonies of artistic creation or celebrity (or of being gay, about which little is said here). The National Theatre of Great Britain welcomes him home for each new creation, so he has no worries about broken alliances or his work being orphaned. Rehearsals always run smoothly. (Nicholas Hytner, a most affable fellow in Bennett’s telling, at least, is his most frequent director). 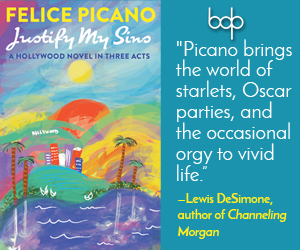 I did wonder if perhaps the huge government support, the centuries-long tradition, and the Brits’ general decorousness all conspire against their having the kind of scandals, chaos, and cliffhangers we rub our hands over when reading Broadway memoirs. Bennett’s title, Keeping On Keeping On, is most apt. Keeping on is what Bennett does best. It is telling that his most recent success is The Lady in the Van, a fictionalized account—in book, then play, then film form—of his permitting a transient stranger to set up camp in his driveway for fifteen years. Was this craven passivity, plain and simple, or a form of passive aggression toward the neighbors Bennett characterized as “liberal, slightly guilty intellectuals”? And yet, for all his coziness and affability, Bennett’s richly descriptive sentences and droll, mildly rueful sentiments make you return to the 700-plus-page tome again and again. And the flax and the poppies, of course, and the rich, red earth. Just one more hour amongst the poppies, you think, and then I’ll read something challenging! Like perhaps the diaries of Joe Orton, which Bennett references, and which you may occasionally itch to read instead. There you will find scandal, gossip and chaos. You can bet that, even though it was brought off by decorous English folk, the premiere of What the Butler Saw was more of a nail-biter than that of The History Boys. David Pratt is the author of three novels, Wallaçonia (Beautiful Dreamer Press), Looking After Joey (Wilde City) and the Lambda Literary Award-winning Bob the Book (Chelsea Station). David's story collection, My Movie, (Chelsea Station) includes new work and short fiction published in Christopher Street, The James White Review, Velvet Mafia, and other periodicals. David has directed and performed his work for the theater in New York City at HERE Arts Center, Dixon Place, the Cornelia Street Café, and other venues. He was one of the first directors of work by Toronto playwright John Mighton, and he is currently collaborating with Michigan-based performance artist Nicholas Williams.